This post is sponsored by The FAT Paint Company but as always all thoughts and opinions are my own. 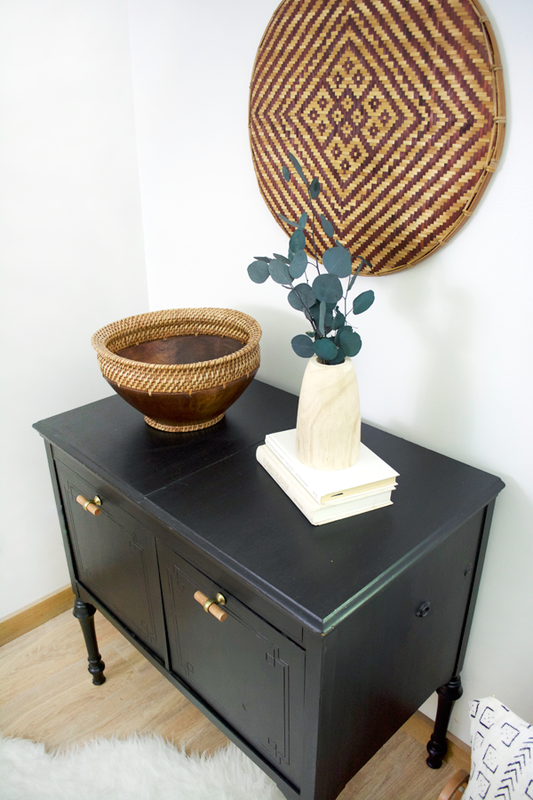 It’s been a hot minute since I’ve done a furniture makeover but it felt good to get back to my bloggy roots and work on a piece! 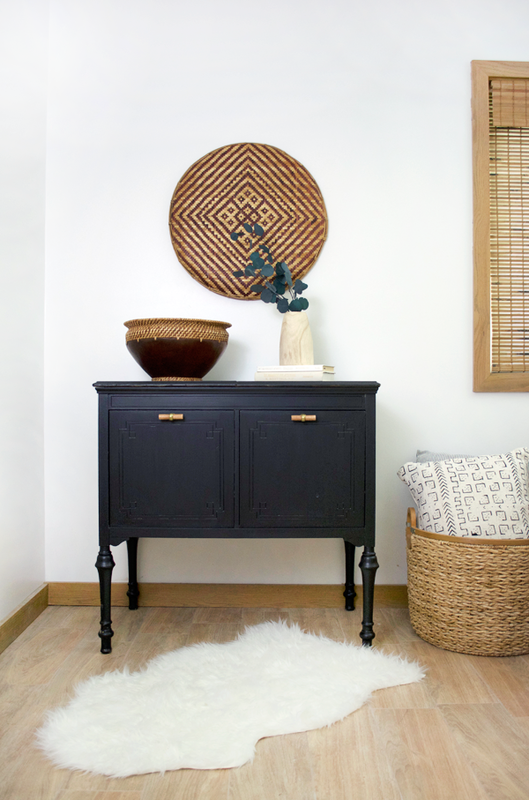 This month for our Monthly DIY Challenge, we teamed up with The FAT Paint Company to all tackle a piece of furniture using their paint products. A friend of ours gave us this old Radiola cabinet back when we were in Erie and it’s just been sitting in our garage waiting for some love. I can’t decide if I’m going to sell it or keep it but I’m loving how it turned out. Here’s where it started. I have to say, when I first started blogging I would pretty much paint anything. I’ve since grown an appreciation for wood furniture and have become very anti-painting some pieces. 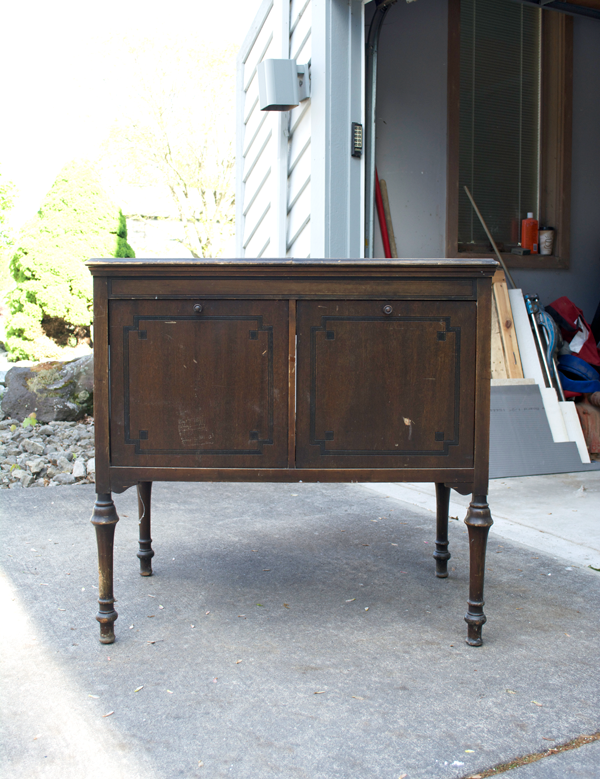 This guy however, was pretty beat up and a fresh coat of paint was the perfect thing to give it some new life. 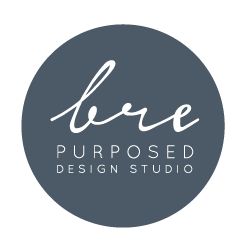 I love learning the history behind the pieces I work on too. Our friend who gave it to us is from Buffalo, NY and this used to be her aunts. 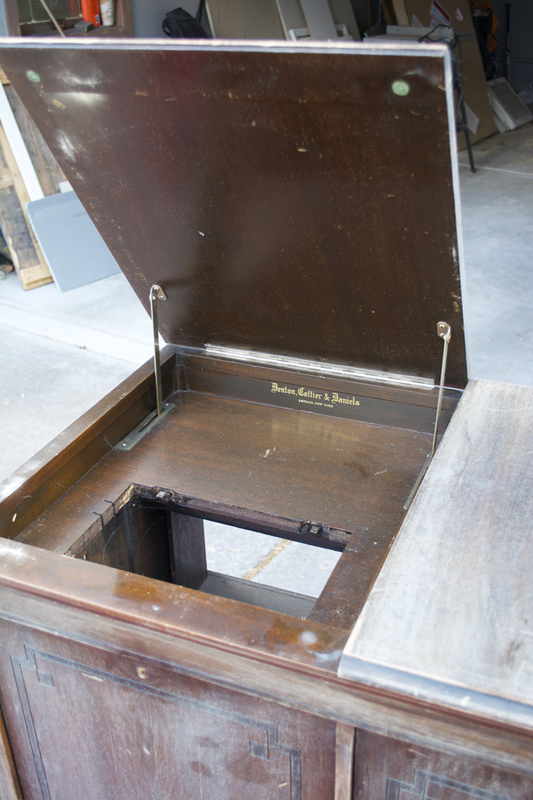 I think she told me she used it as a sewing table but I can’t remember. We’ve had it for so long! 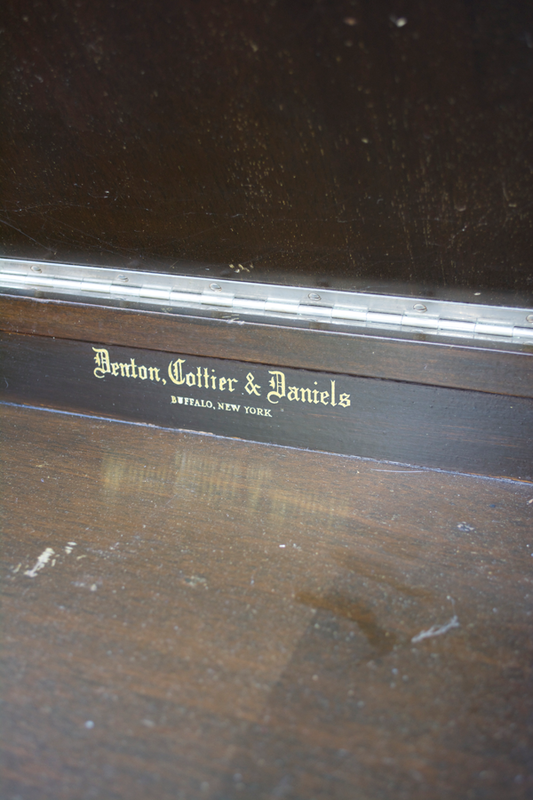 But I looked up Denton, Cottier & Daniels and they specialize in selling pianos and organs. Everything on the inside has been removed and I didn’t really do much to it. I left it unpainted, but it’d be fun to come up with a new use for it. So first up I gave the whole outside a good cleaning and sanding to give my paint something to stick to and taped around the top edges. Then it was time to dig into the good stuff. I’ve never used this paint before but I have to say that I really love it. It’s a nice silky smooth consistency and goes on really well. It also dries really fast which is a huge plus for me since I’m usually working during nap time. 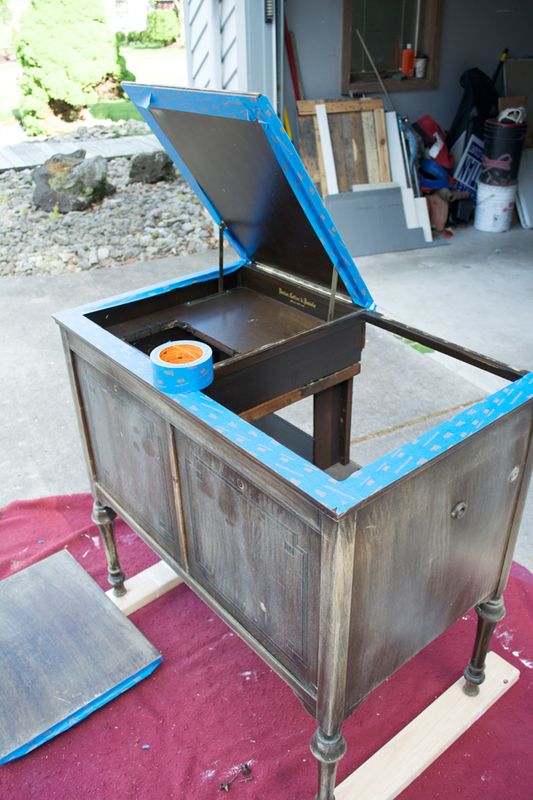 I saw great coverage after one coat, but decided to do 2 coats to make sure everything was even. And I totally thought this piece was due last month so I was scrambling to get it done right before our bathroom reveal only to realize I had a wholeeee nother month left. ha. So I waited a little while between the paint and the top coat. After the first coat of the Clear Top Coat I noticed it was a little streaky. I’m not sure if it was the temperature outside, the brush I was using to apply it or something else but I let it fully dry and did a light sanding over the whole piece to even it back out. I did two more coats and sanded between those as well. 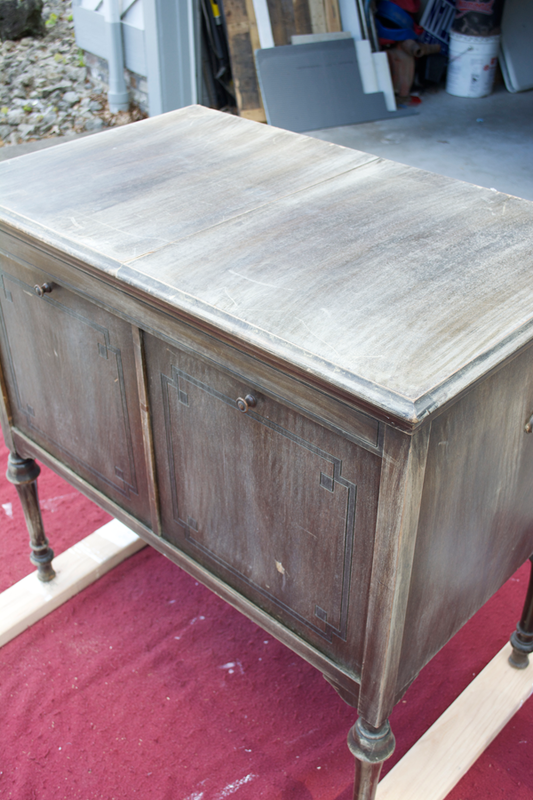 You can still see some streaks, but the sanding definitely helped. FAT Paint also has a Natural FAT Wax you can use as a top coat that you can check out if you’d rather use a wax over a liquid. I updated the old knobs with some more modern ones I picked up at Hobby Lobby that add the perfect little pop of wood and gold. Overall I’m super happy with this guy. Right now it’s up in our bedroom and I’m kinda digging it, but I might end up selling it; we’ll see! Want to start your own FAT Paint project? 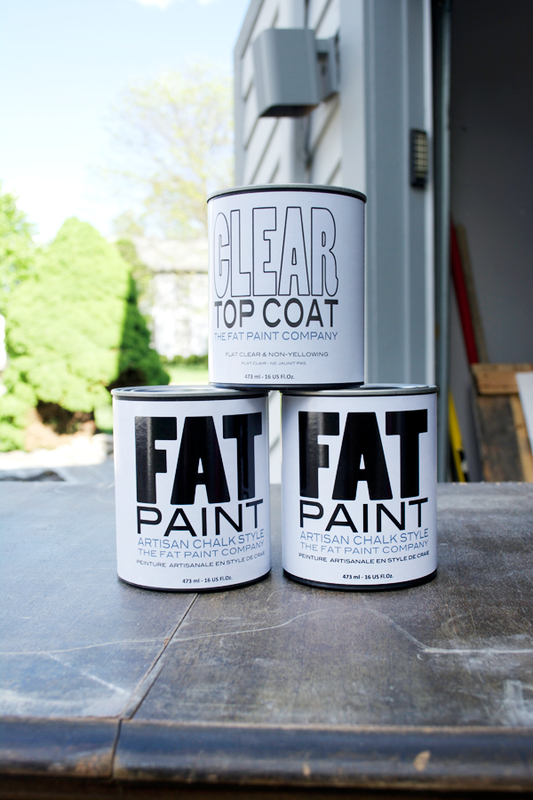 Check out The FAT Paint Company’s website to find a retailer near you. Not one in your area? No problem! TFPC is giving $200 CASH away to anyone who helps them make a connection with a new retailer. Super cool right? Click HERE for more info on their Finder’s Fee program. And we’ve got an extra little surprise for you guys this month – there’s a giveaway! FAT Paint was kind enough to offer one of our readers a pint of paint in the color of their choice and some of their Natural Finishing Wax. You can enter below – good luck! And don’t forget to check out all the awesome furniture makeovers from the rest of the Monthly Challenge crew! Looks like you’ve done such a great job. 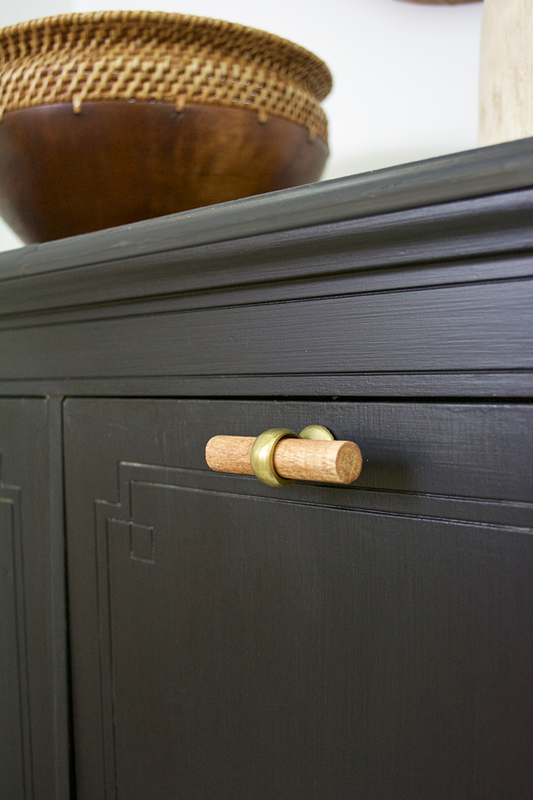 I love all the interesting little details on the cupboard and those handles make the cupboard ‘sing’ with style. Love it! 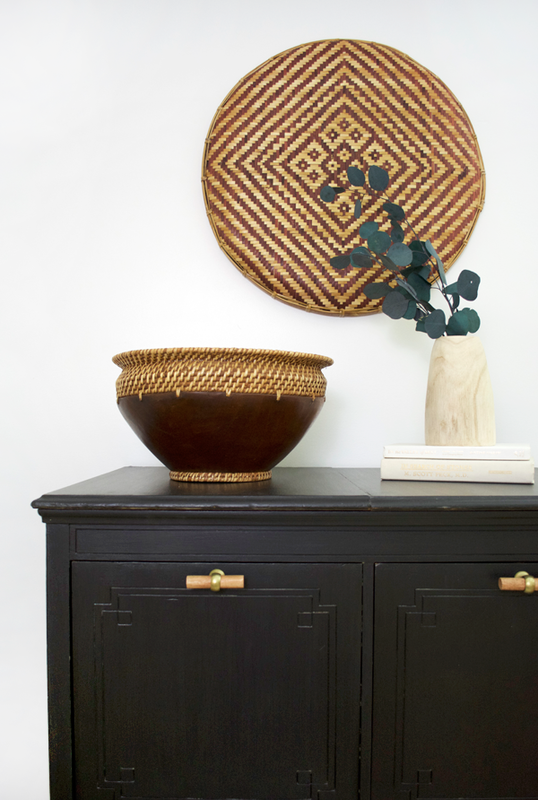 Also love the bowl on top- may I ask where you got if from? Thanks! Hi there! 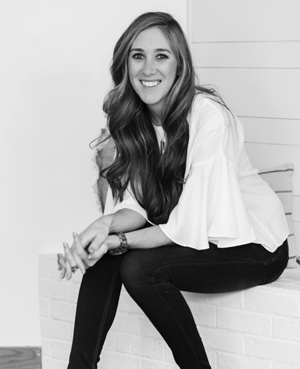 I just wanted to say that this makeover is simply stunning. I love the deep black you gave it, made it look even more elegant. Love it! Thank you so much Diego!! 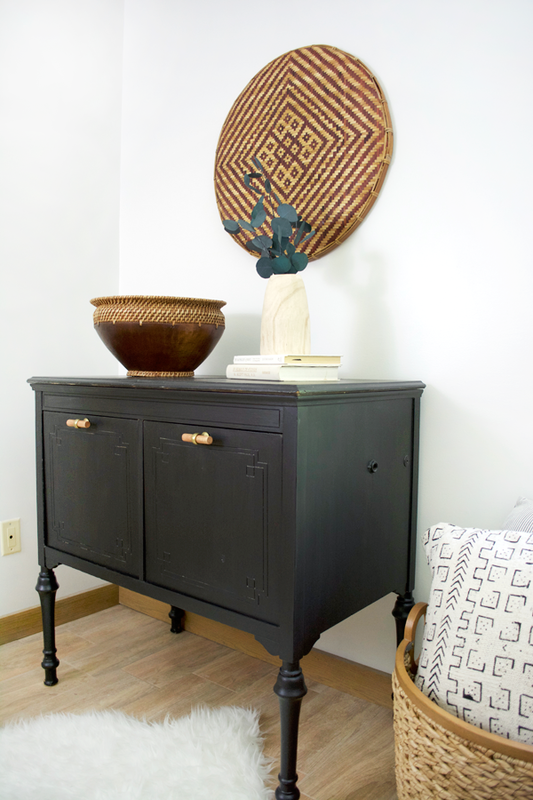 It’s crazy how ‘you’ this piece has become with a little dark blue paint and those gorgeous drawer pulls! 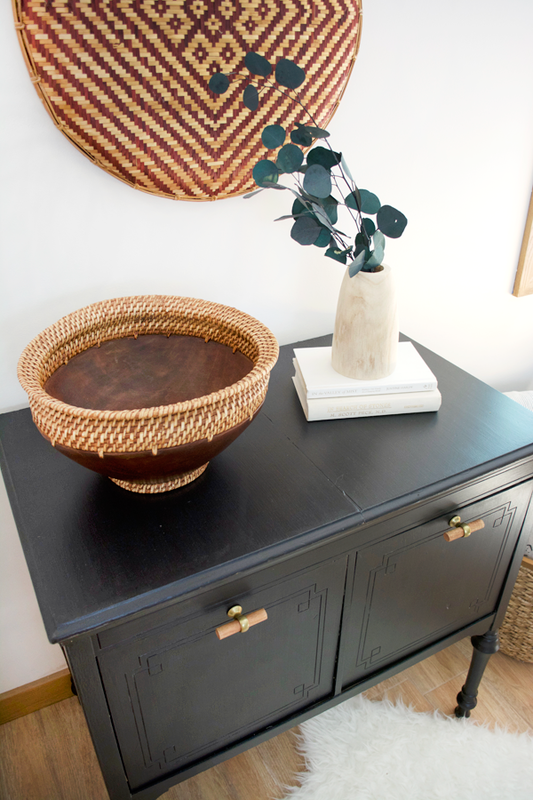 It ties in so nicely with your decor and the floors as well! Aw thank you so much Michelle!! This is absolutely gorgeous!! 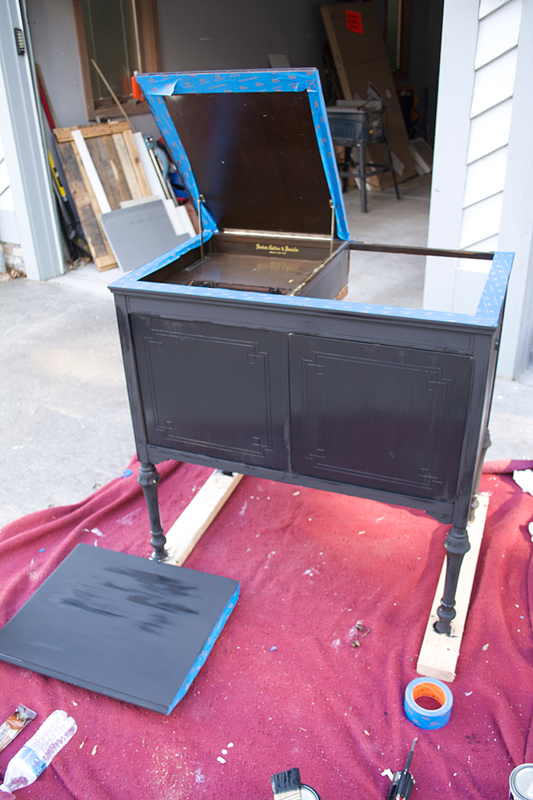 That black is stunning, along with those handles. I love it!! What a gorgeous piece! LOVE that moody black! Interested in the drawer pulls too!!! Love those handles. Where did they come from? Luv it! I have just the right piece to transform! Where did you get the drawer pulls?